Star Trek Began again as a part of television. 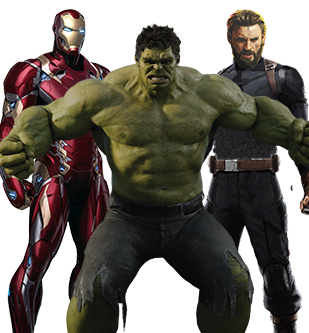 Which reminds us all from the good old days when the theme played and everyone sat together. As if it was a broadcast from outer space. 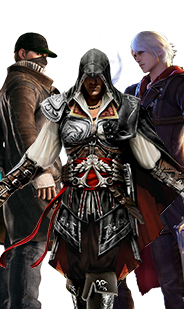 This attire also retells the similar story. 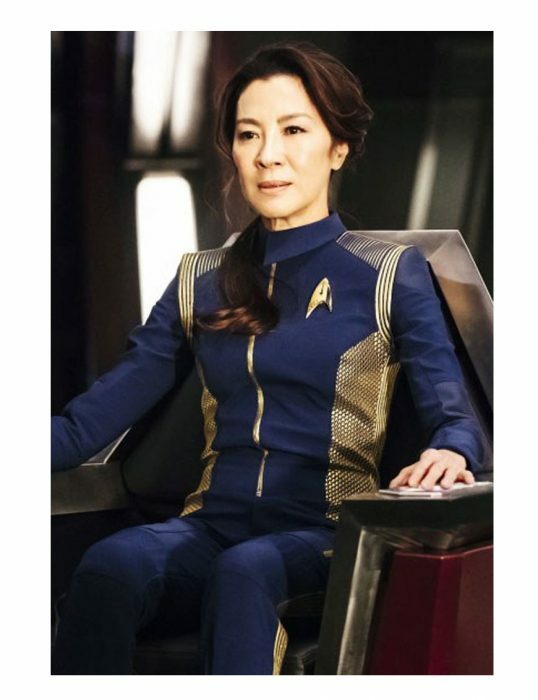 Where majority of the characters bear the same uniform as the Star Trek Discovery Jacket including the main, leading role. On the other hand there were those who were literally not amused by the series back then. 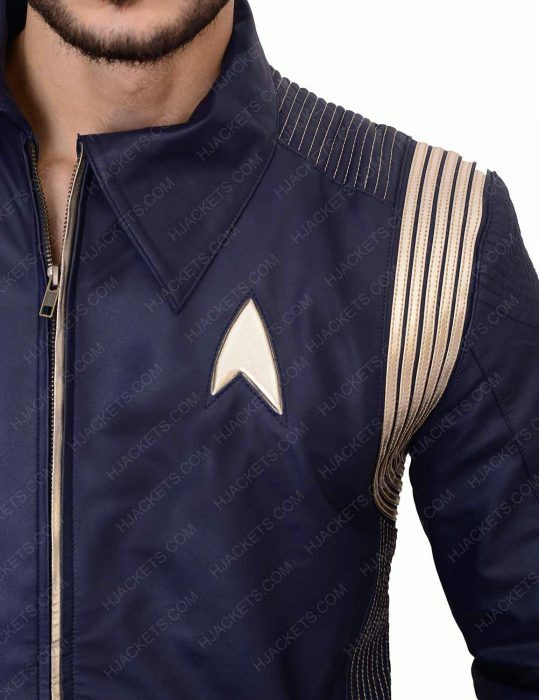 Even they are now a little more excited to see what changes according to this era and outfitting their classy apparel as good as Michael Burnham Jacket. 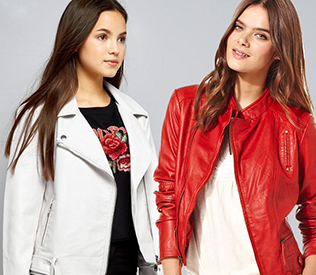 This classic to new trend outerwear has been produced from genuine leather / faux leather with all its comfort on the inside as viscose lining. Star Trek Discovery Jacket clicks the fashionable guise for both men and women to depict the very own creative apparel which embraces blue color. 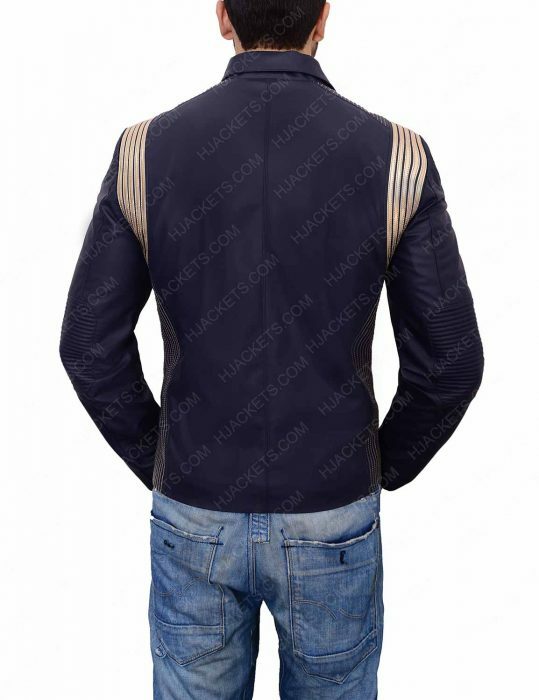 It has smart features like round color and front zipper closure in elegant design. While the silver patches which are dropping from shoulder goes on both sides. This outfit also comprised of long sleeves with open hem cuffs as a part of this remarkable attire. 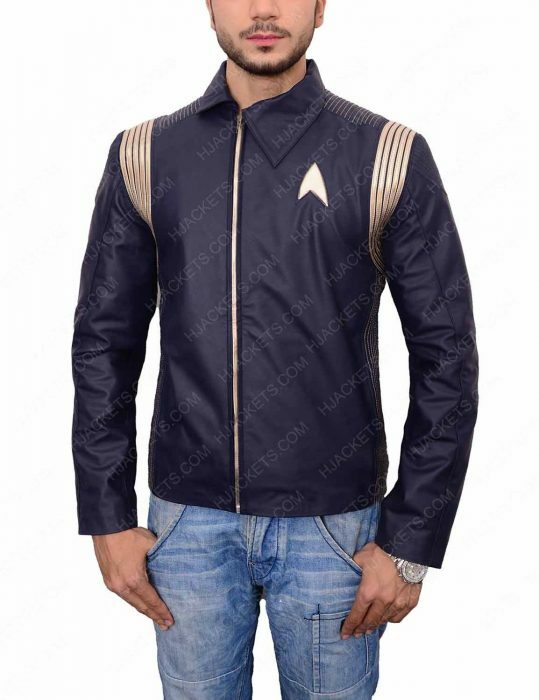 That is screen accurate and spark up the heat to display the cooler than ever outerwear with crafty features Star Trek Michael Burnham Leather Jacket. Nice-looking jacket, great fit, This is EXACTLY what I wanted. 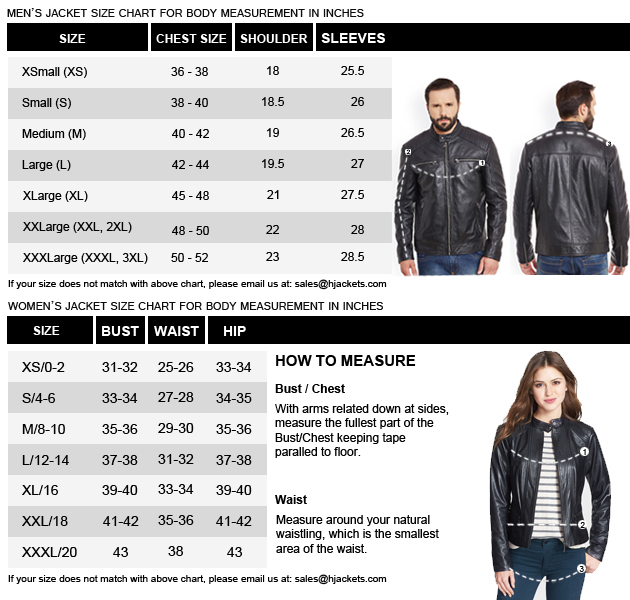 I ordered one from Hollywood jacket after reading all about the correct sizing. It fits beautifully. I am 185lbs with a 42" chest and 6' tall and it is a comfortable fit. Could it be more fitted? Of course, but I want to be able to wear things under it. 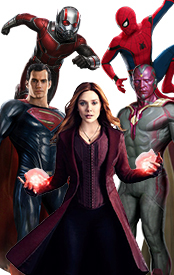 I wasn't looking for skin tight, but I also wasn't looking for overcoat. 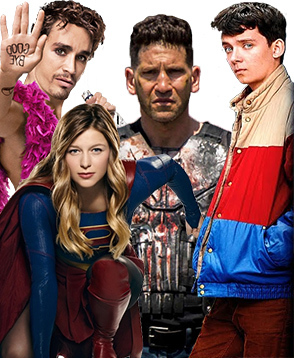 This bad-boy fits the bill. Here are my stats for those looking for help. 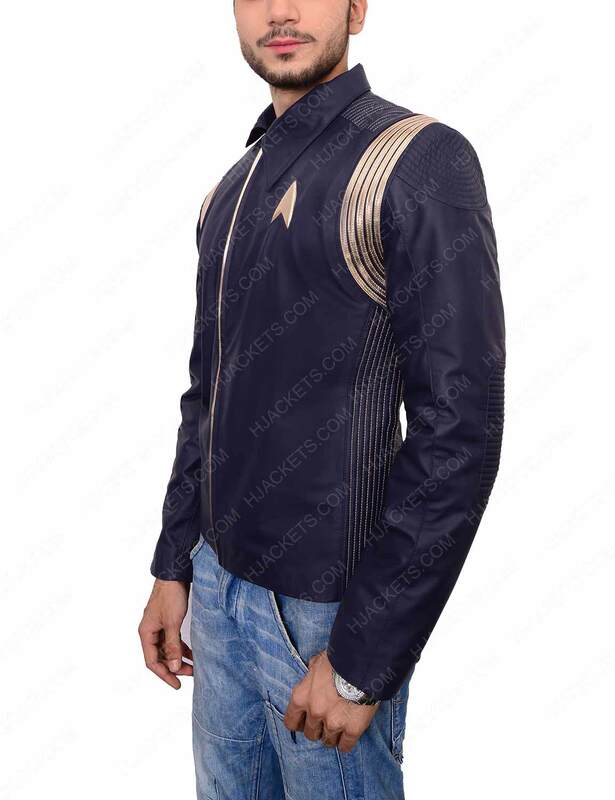 I like the silver strips on shoulders, which helps catchup the shoulders even more on this jacket. I like the silver strips on shoulders, which helps catchup the shoulders even more on this jacket. I like the silver strips on shoulders, which helps catchup the shoulders even more on this jacket. This design gives this jacket some character. 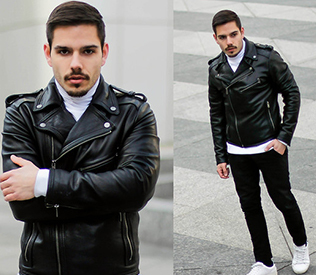 If you're required a plain fit leather jacket, then get a different style. The leather material from afar is not noticeably unleather-like. From this catch, if someone wants to resent your jacket to see if it is high quality or not... they will be able to say that it probably is not leather. But again, if they are that type that gives the bees wax ... then you should have to reconsider your group.